Hokaglish, also known by locals as sa-lam-tsam oe (mixed language), is an oral contact language primarily resulting among three languages: (1) Hokkien, (2) Tagalog, and (3) English (Other languages that have relative influence include Cantonese, Spanish and other local peripheral languages). 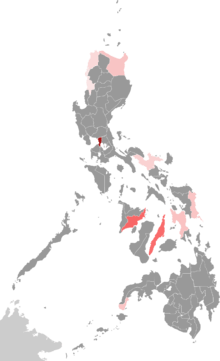 Typically used by Filipino-Chinese or Chinese Filipinos, Hokaglish is used in quite a number of domains including corporations, academic institutions, restaurants, religious institutions, phone calls, and houses. Some note that this is a result of having to maintain command of all three languages in the spheres of home, school, and greater Philippine society. Although the phenomenon itself is quite dated, Hokaglish has just been recently discovered by Wilkinson Daniel Wong Gonzales  of the National University of Singapore in his presentation in the 26th Annual Meeting of the Southeast Asian Linguistic Society in Manila, Philippines  as well as a recent presentation  in the National University of Singapore. The most recent observation of Hokaglish is that the contact language is gradually becoming a normative language of its own due to peculiarities from the phonological to the syntactic and even pragmatic level. Earlier thought to be a creole, it may actually be a mixed language similar to Light Warlpiri. ↑ Hammarström, Harald; Forkel, Robert; Haspelmath, Martin; Bank, Sebastian, eds. (2016). "Hokaglish". Glottolog 2.7. Jena: Max Planck Institute for the Science of Human History. 1 2 3 "Exploring trilingual code-switching: The case of 'Hokaglish' (PDF Download Available)". Researchgate.net. 2016-06-27. Retrieved 2016-10-24. 1 2 "Wilkinson Daniel Wong Gonzales (National University of Singapore, Singapore) on ResearchGate - Expertise: Secondary Education, Language Education". Researchgate.net. Retrieved 2016-10-24. 1 2 "Wilkinson Daniel O W Gonzales | National University of Singapore - Academia.edu". Nus.academia.edu. 1970-01-01. Retrieved 2016-10-24. ↑ "An initial grammar sketch of the Philippine Hokaglish and its implications to language contact and variation research | Wilkinson Daniel O W Gonzales - Academia.edu". academia.edu. Retrieved 2016-10-12. ↑ "Tag questions in Hokaglish". Researchgate.net. Retrieved 2016-10-24. ↑ "On the use of intensifiers in Hokaglish oral conversations (PDF Download Available)". Researchgate.net. 2016-09-08. Retrieved 2016-10-24.